This is a guest post by George Basiladze of Cryptopay.me. The “call for information” report issued by the last government in March was deceptively positive, despite a clear depiction of the regulatory minefield which must be navigated before Bitcoin can play a more significant part in U.K. business life. It also appears that much interest is being directed toward the blockchain technology that informs Bitcoin from leading financial powers, many of which are based within the city of London. More interesting, though, is the gradual adoption by more and more members of the British public. CEX is a chain of secondhand technology stores and a regular fixture on many British high streets. It is one of the more significant U.K. retailers that accepts payment in bitcoin; the nature of the retail outlets’ focus on technology means it has access to a massive cross-section of the current and potential cryptocurrency user base. Early adopters such as CEX serve the wider Bitcoin community by providing greater visibility to the cryptocurrency and leading by example in its faith in the alternative currency. A significant difficulty remaining with U.K. Bitcoin adoption is existing financial authorities, namely the big British banks, who are ever reluctant to work with a Bitcoin-based enterprise. This means many Bitcoin businesses aimed at the British market are based elsewhere in Europe, resulting in U.K. customers facing two- or three-day delays when transferring fiat currencies to Bitcoin businesses as they must use SEPA transfers to European bank accounts. Perhaps the government interest in cryptocurrencies will lead to renewed faith within British banks toward Bitcoin, and eventually Bitcoin businesses will be able to do their fiat banking at home. This would be an important step toward enabling cryptocurrency-based enterprise to become a significant player in the future U.K. economy. The map provided by wheretospendbitcoins.co.uk shows a reasonably consistent spattering of Bitcoin-friendly businesses across Great Britain, with a great deal centered on the capital. The profile of a business that accepts bitcoin payments is surprisingly diverse, with everyone from trendy foodie bars such as La Porca in Camden to Sushi cooking school YourSushi, which has sites in a number of British cities, getting involved in the cryptocurrency. Only time will tell if Bitcoin can overcome the almost novel, speculative light in which many see it, but it is the visibility of the currency across public life that ultimately has the greatest power to influence greater use. Policymakers have a responsibility to ensure the public has the protection and right to access the incredible potential of cryptocurrencies. 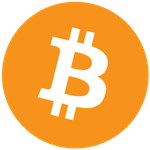 Entrepreneurialism is rife within the Bitcoin community and drives the currency forward; it is now possible to purchase almost any goods with bitcoin through the ingenuity of services such as giftoff.com which enables users to purchase a huge variety of gift cards for stores including Apple and Amazon using bitcoin and a range of alternative cryptocurrency. Hopefully, development and adoption of Bitcoin will continue both within the U.K. and further afield across the rest of 2015, and perhaps 2016 will be the year that we can pay our rent and tax obligations using bitcoin, helping to push the international community to move toward accepting the legitimacy of the alternative currency. There are still obstacles to overcome for Bitcoin, with headaches regarding the future of the block size causing issues for developers around the world working on the Bitcoin project; however, as always, it is an exceptionally exciting time to be involved with the cryptocurrency community.